In Ghana, about 73% of households rely on solid fuels for cooking. Over 13,000 annual deaths are attributed to exposure to indoor air pollution from inefficient combustion. In this study, assessment of thermal efficiency, emissions, and total global warming impact of three cookstoves commonly used in Ghana was completed using the International Workshop Agreement (IWA) Water Boiling Test (WBT) protocol. Statistical averages of three replicate tests for each cookstove were computed. Thermal efficiency results were: wood-burning cookstove: 12.2 ± 5.00% (Tier 0); coalpot charcoal stove: 23.3 ± 0.73% (Tier 1–2); and Gyapa charcoal cookstove: 30.00 ± 4.63% (Tier 2–3). The wood-burning cookstove emitted more CO, CO2, and PM2.5 than the coalpot charcoal stove and Gyapa charcoal cookstove. The emission factor (EF) for PM2.5 and the emission rate for the wood-burning cookstove were over four times higher than the coalpot charcoal stove and Gyapa charcoal cookstove. To complete the WBT, the study results showed that, by using the Gyapa charcoal cookstove instead of the wood-burning cookstove, the global warming impact could be potentially reduced by approximately 75% and using the Gyapa charcoal cookstove instead of the coalpot charcoal cookstove by 50%. We conclude that there is the need for awareness, policy, and incentives to enable end-users to switch to, and adopt, Gyapa charcoal cookstoves for increased efficiency and reduced emissions/global warming impact. 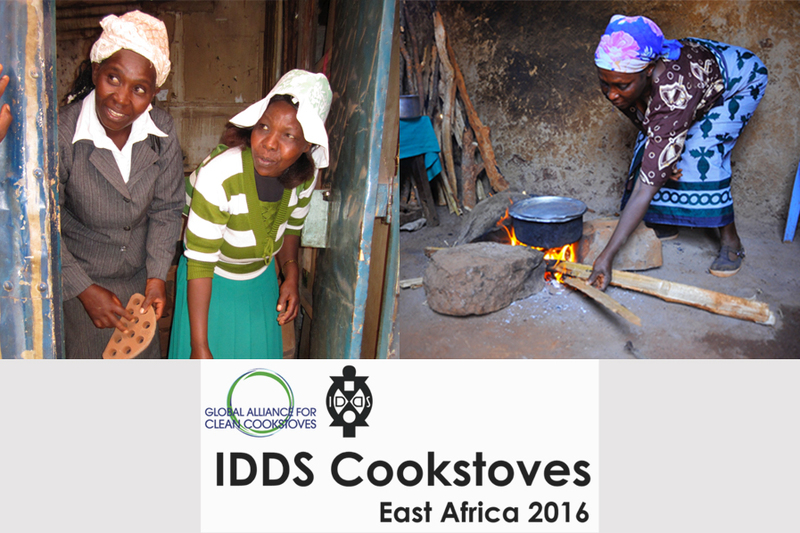 IDDS Cookstoves Participant Applications are Now Open!